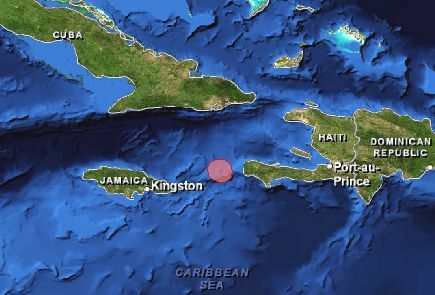 Navassa is a small, uninhabited, and isolated oceanic island located in the Windward Passage approximately 55 km west of the southwestern tip of Haiti. The Island is administered by the U.S. Fish and Wildlife Service as a U.S. National Wildlife Refuge. The refuge includes a 12 mile radius of marine habitat. Because of its remote location and uninhabited status, Navassa�s surrounding marine ecosystem is relatively healthy. Although there are no permanent residents, transient Haitian subsistence fishers regularly visit the island. Navassa is a small isolated island (about 3.5 km2) which arises abruptly from fairly deep water about 55km west of the Tiburon Peninsula of Haiti. 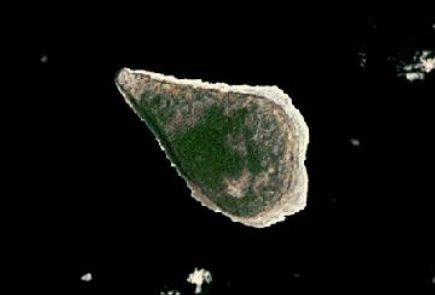 Satellite image of Navassa Island, an uninhabited U.S. possession in the Caribbean Sea located between Haiti and Jamaica. A shallow reef is present at the northwestern tip of the island. Most bottom depths adjacent to shore begin at 20 meters. Oral history and contemporary assessment of Navassa Island fishermen. Search the CoRIS Geoportal for Navassa metadata, data and publications. Select "U.S. Caribbean" in the region window and "Navassa Island (USA) " in the Country window. Order to delegate the Secretary of the Interior's responsibilities for the administration of Navassa Island to the Director of the Office of Insular Affairs and to establish the process for entry onto Navassa.